What's the best building you've been up to? One of mine was going up the Twin Towers in Malaysia, the view was stunning! In London, you can see the skyline from so many amazing buildings including The Shard, The Gerkin and The Heron Tower. 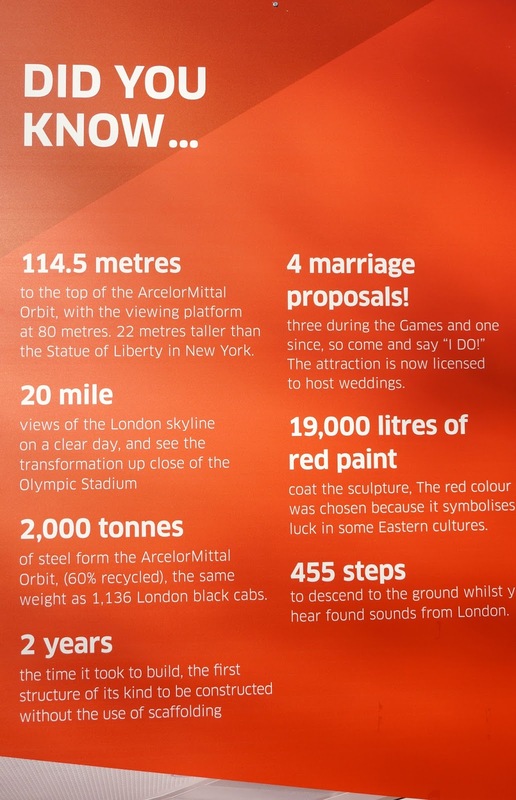 Another interesting landmark is the The ArcelorMittal Orbit, which was built to mark the legacy of the 2012 Olympic. You can go up the spiral sculpture and check out the London skyline 20 miles away. My friend invited me along to explore the Orbit, which is the UK's tallest landmark at Queen Elizabeth Olympic Park, we were lucky too with the clear skies. Misty London wouldn't of looked so good high up! We took the lift up 80 meters and took in the panoramic views, it was freezing on the outside deck but worth it for a few minutes! It was such a clear, bright and beautiful day, perfect weather to spot London's landmarks. Concave mirrors to see yourself upside down! It was also the Year of the Bus Sculpture weekend, so we got the chance to see 60 New Routemaster buses on display. They've all been designed by well known artists and we got to see them before they get auctioned off for charity. They'll be there until the 3rd February if you want to pop down and have a look. Here are some of my favourites designs! The ArcelorMittal Orbit is open Mon-Sun 10-4pm, you can buy tickets in advance on line for £11.95. It's also a short walk from Westfields shopping centre, so you can do some shopping afterwards! What's the tallest building you been on? Worth a read: Never be bored in London again with Wonderush. That looks like such a cool place!! I haven't been in London yet, which is a shame living in Cork and only a plane away. But I'm changing that this year! I have a concert in June there and will probably take the opportunity to stay some days and enjoy the city. And the shopping, let's be real here. I now want to go! This looks awesome, and you're pictures do it justice! This looks like such a fun thing to do, and the view was amazing! Ohh you'll love it here! Make the most of it when you come over....AKA get that shopping list ready haha. I know, was really lucky with the weather! Oh wow bet the view is amazing in NY! Wow beautiful pictures, the tallest building I've been up is the Empire State Building it was amazing! Oh yeah! Luckily my boyfriend also likes browsing shops. And even if he's not specially fond of makeup stores (haha), he supports me. And sometimes brings me a basket to put my stuff in it. If you have any recommendations of not-so-usual places we shouldn't miss, or places to eat, I'm all eyes! Oh yes! 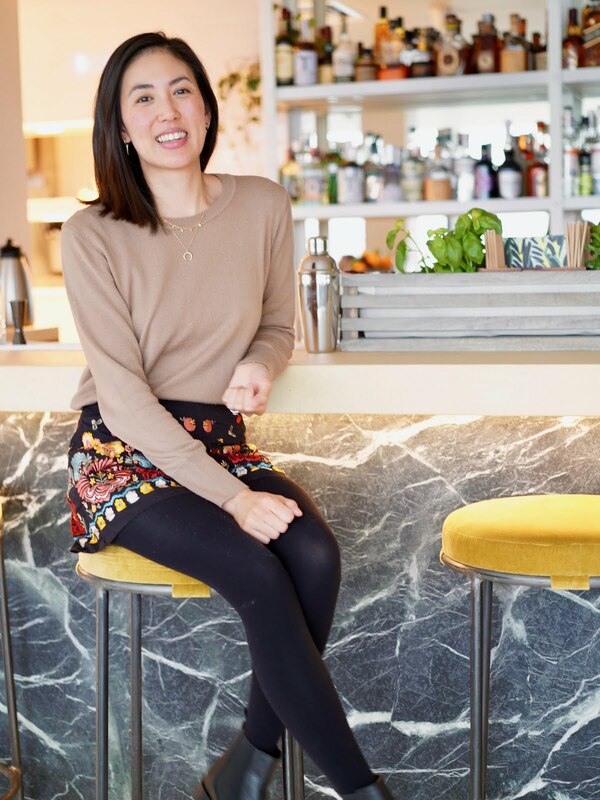 The not so touristy hot spots - great food places around Shoreditch East London or Soho in Central London. Some of my faves Wahaca (Mexican) Sticks n Sushi (Sushi), Shoryu (Japanese Ramen), Chotto Matte (Japanese Peruvian). What a stunning view and the floral buses are too cute! Hmm..I think the tallest building I've been up is the Sears Tower in Chicago!